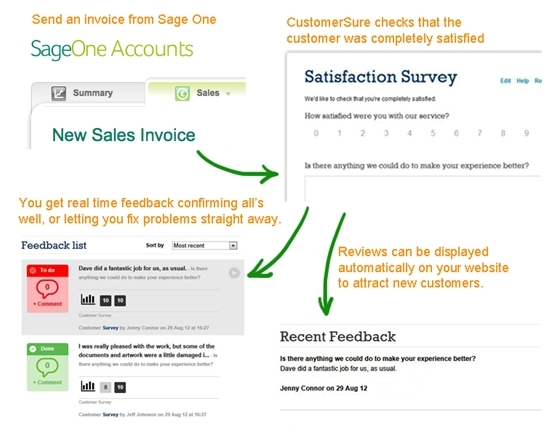 Guest post by Guy Letts, Director of CustomerSure – a genuinely innovative tool for improving your customer satisfaction and the first service to integrate with Sage One via the Sage One API. Because there’s a link between customer satisfaction and financial performance, we’ve integrated our software with Sage One to make it easier to drive up both customer satisfaction and revenue for any business. This article describes 4 business benefits that are now easy to achieve with Sage One and CustomerSure. New customers for free – isn’t that the best way to grow a business? The only problem to be solved is that before your customers will recommend you, they need to be confident that you won’t let their friends down. They want to be able to trust you not to embarrass them. That’s how it works when we recommend, isn’t it? We might be happy ourselves to put up with a few foibles – the occasional call not returned, the odd deadline missed without warning. Perhaps we put up with those because the quality’s good (when it gets there), or the supplier’s very local. But if we want our customers to gush unreservedly about us, then the bar’s a little higher. Here are some more ideas: How to get every customer recommending you. Wouldn’t it be great to get a much higher uptake from marketing and promotions? The problem here is that the marketing can only make customers aware of the offer, it doesn’t make them more likely to take it up. That’s down to how our customers feel about us, not how much advertising we throw at them. In fact if they don’t feel good about us (and that could be for one of a thousand reasons) then more marketing can actually make things worse. 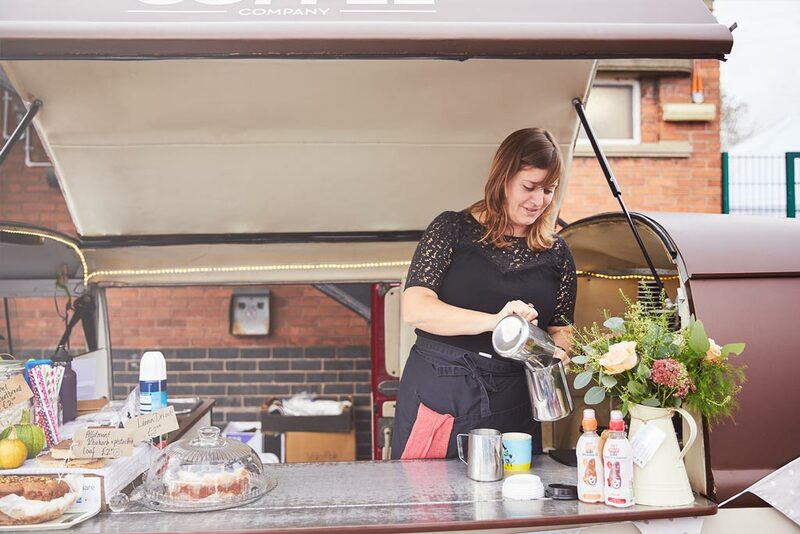 So making sure that a customer’s completely satisfied – and fixing it quickly if they’re not, is a great recipe for increasing repeat business. You work hard to win every single customer. But does each new customer grow your business or just replace one you’ve lost? It costs typically six times more to gain a new customer than to keep one you already have. Not only that but because satisfied customer spend more and are more likely to tell their friends, the ones who you do keep become even more valuable. Customer satisfaction not only generates more revenue but it can oil the wheels of cashflow. I read an article recently about how to speed up payments from customers. It was good common sense as far as it went, but it was all about making the process slick. The faster you send invoices, the faster they’ll be paid. But it didn’t deal with the fact that invoices are received and processed by people and it took no account of whether they were happy with the goods or services, nor whether they were happy about how they’d been treated. I always try and pay bills promptly. Not everyone does, but I do know I’m a lot more motivated to pay the people who’ve made my life easier than the ones who’ve made it harder. What did the integration involve? 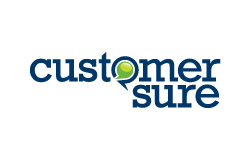 We’re delighted that CustomerSure is the very first product to integrate with Sage One. It all went very smoothly, the products work well together over the Internet and it took less than four weeks to go from start , through design, development and testing, to our first pilot customer. We’ve enjoyed working with the Sage team and we thoroughly endorse the benefits of integrating with Sage One. If you’d like to develop your own product to integrate with Sage One, you can obtain the API documentation by registering your details on the Sage One Partner Programme page.